I've recently been taking some classes where we have to interview and research consumer behavior and different work personalities. After listening to some awkward exchanges and questions around me I thought it'd be a great idea to write a post to help others prepare for interviews. My background comes from 5 years of Yearbook in high school where I had to interview uncaring faculty, to emotionless students, and your occasional subject who surprised you with the most amazing story. I'm a firm believer in the idea that everyone has a story and so with the proper questions and interaction you can get a story out of anyone. These questions should not be too closely related. The point of having all these questions is to help navigate you through the interview. You will get to some points where you hit a dead end, the interviewee is not showing much interest in what they are saying. Move along the conversation with a different question and check for a story somewhere else. If the interview feels like a survey, or a list of questions, you will get a list of answers. Ask things like Why Did you Choose to do that? Is that something you regret? That's interesting, why do you think you believe that? The name of the game is to learn how the person thinks, why they react a certain way. You want emotions, reasons, stories. You won't get that with a list of answers. 3.Don't Use Email if Possible. If you can, try to avoid any form of communication that takes longer than a couple minutes to reply. You want real time answers. Thus always try for in person or over the phone. I am also one of those people who actually don't mind using chat because most people today are so savvy with their keyboards that live chatting is almost just as fast. The reason why you don't want to use email is because emails are put off for later, it becomes a task on a to do list. You want a stimulating story, not someone trying to finish their to do list. If you are just starting out interviewing, this is a definite must. Nothing is more awkward than pouring your heart out with a profound story and the person interviewing you answers with 30 seconds of silence because they are trying to jot everything down. Bring a voice recorder, note the points that impressed you during the interview. Try to jot down the time they said it to help you later. This is probably one of the more annoying things about interviewing. You will have the subject/interviewee with a general idea about how the article should look. They'll tell stories that seem too well constructed with appropriate details and structure. The person will ask you to use that story and use a "profound statement" they just said. Don't let this happen. If the person you are interviewing is trying to dictate the interview, smile and say I just want to learn more about them (Note: Stroke their ego). Let them know that the article, content, or story will be in tandem with an entire page, campaign, or strategy. This should actually be true, so just let them know that you will try but it'll depend on the whole scope of things. Just remember, get the best story for your readers, not the interviewee's best story. At the end of the day its really about practice. If you are going into an interview awkward and embarrassed, don't worry about it because we all have. The best thing to always remember though is to be ethical and honest. If your going to the interview in hopes of getting a certain quote or skew, then really you don't need to be interviewing at all. 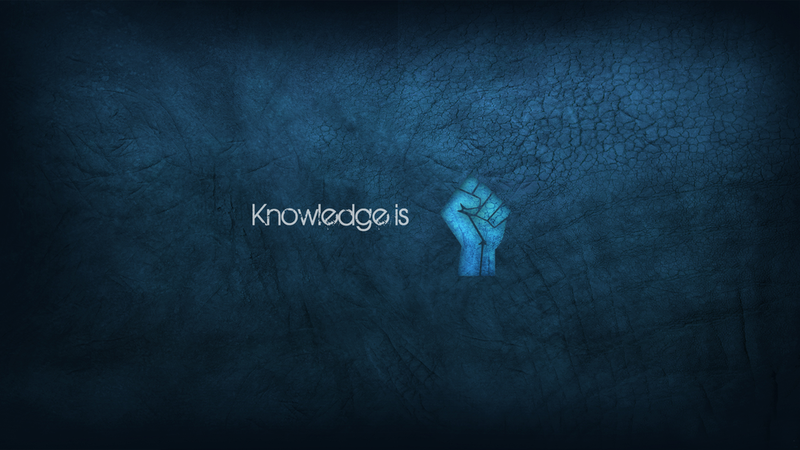 Information or Knowledge? Are You Properly Utilizing Your Data? As a basketball player, its always frustrating seeing someone buy the latest, most expensive basketball shoes only to use them for every day walking. I'm sure this can go for many other products, like consumers who buy the latest laptops for basic Microsoft Office. This is the result of following a trend, the hype, without understanding the root. What I mean by this is that every trend starts for a particular purpose. Basketball shoes become popular and must have because of their feel, celebrity power, and efficacy on the court. The same goes for laptops. The computing power and speed become noteworthy. Subsequently word gets out and everyone wants one. Naturally, as I said earlier, you get those people who join the bandwagon not understanding what the purpose is. I find that this is something we need to address in terms of Data. I remember a profound statement that my Market Research professor lectured about one day. What he said was, Data is information. Information is simply values, a fact. They are utterly meaningless and have no value unless they can be used for a certain action. Otherwise, we need to interpret data in order to create knowledge. Knowledge is based on series of facts and patterns that our minds acknowledge. Data and information we receive from surveys is only of value if we can convert that information to knowledge. With knowledge comes strategy and action. Make sure that you develop the knowledge.